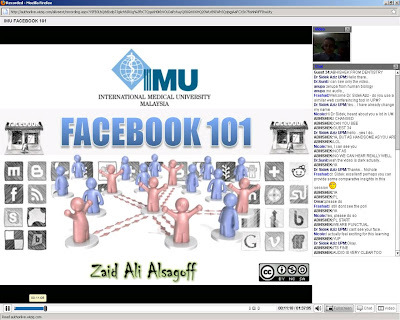 ZaidLearn: IMU Learning Series 01 - Facebook for Learning and Teaching? IMU Learning Series 01 - Facebook for Learning and Teaching? Can Facebook be used for teaching and learning? How can it be used? In this online session we explored how it can be used for teaching and learning with a specific emphasis on using Facebook Groups and Pages. You are recommended to skip the first 10 minutes, so that you can get right into the action. If you have problems viewing, try updating your Flash Player.